Beta-Hydroxy Beta-Methylbutyrate, or more commonly known by its abbreviation HMB, is a metabolite of the branched-chain amino acid leucine. Growing in popularity since the 1990s, HMB is now widely used in many ‘all-in-one’ products. You can add our Unflavoured version to your daily shake and create your own. Or, simply take one of our other fruity flavours — Apple & Pear, Cranberry & Pomegranate, or Summer Fruits. 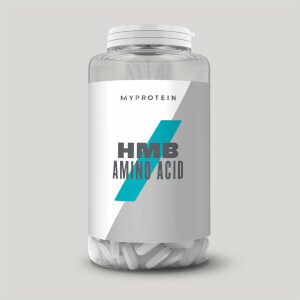 When to take HMB Amino Acid? Add 1g to juice, water, or your usual shake and take 3 times daily. Add our Unflavoured variety to Impact Whey Protein — a great way to stay topped up on protein throughout the day and help support your fitness goals. Got to say this is the worst tasting supplement I've ever ingested, thought BCAA's powder was bad till I had this! It is effective though so will continue to take. "I have been using MP HMB for a few weeks now and along with CEE, whey and BCAA's, I am making damn good progress! I don’t understand why so many people are moaning like little girls about the taste? Just spoon a bit in your mouth and wash it back with some quality H2O. Simple! It really annoys me when people moan about the taste when MP products are so reasonably price and are of extremely good quality! They are supplements designed to enhance your performance...not appease your taste buds! I will rant no more! Good stuff and I am reaping the rewards. Thanks MP"
Not sure why everyone complains about the taste. I've been warned that it's not the best if you get unflavoured, so I made sure I ordered summer fruits. Tastes quite good if you mix it with water or even better with any berry juice. But the best thing I discovered is when you mix summer fruits HMB with Vanilla Whey Protein + water. It simply transforms into a strawberry milkshake and tastes amazing! As for the efficiency, this stuff does improve recovery time a lot. Even if you do get the occasional DOMS after a really hard workout, the muscle pain doesn't last that long (before I would suffer from pain for days after a long workout). So it's a really good product, would definitely recommend it, just make sure to get a flavoured one if you are that sensitive to taste. 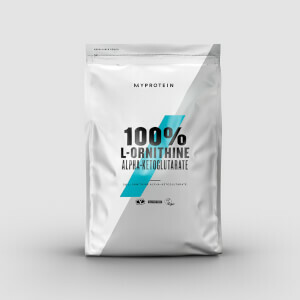 Another benefit is to mix it with your protein before and after training. P.S. Be careful when opening the pouch, the stuff is quite sticky, so some of it might be trapped near the plastic zip. Bought the unflavoured pouch. Words can't describe how bad this tastes and how long it lingers. The powder is so fine that even getting a scoop of it gets all over your hands, which then stink for a good 10 hours. On the plus side, I have put on significant muscle mass since taking this alongside creatine and protien powder so something is working. This supplement is something that will be a steady in my supplement stack forever. Not for the taste. The taste i horrible! But it works! 2 weeks in and i stopped getting doms. Stopped completely. So far i've suffered badly from doms, even after the smallest of workouts. But once it's in my system it just stops. One of my favorite products. The new flavours are really good! Only just got it and right away tried the Cranberry/Pomegranate flavour and I am really impressed with it. Almost no hint of the hmb taste anymore, I was expecting it to be much worse. So i checked the label of how much they had to cut it to get it to that stage. The label now reads: HMB-Ca (80%), Flavouring (Colour (Beetroot Red), Acid (Citric Acid), Sweetener (Sucralose), Natural Flavouring Substances) This means that only 62% of your powder will be pure HMB now (since only 78% of HMB-Ca is HMB in the first place). The taste reminds me more of Rasberry to be honest but its not bad at all. Mixability is also a bit improved I'd say. It dissolves 100% with a bit of stirring. I mix with this flavored soya milk and stevia Impact Whey Protein and the taste is bearable compared to mixing it with anything else. Good product. Gave me that effect had been expected. I got the unflavoured pack... Defiantly NOT flavourless. Foul taste, that stays in your mouth. Going to keep going with it after reading all the good reviews about its effectiveness but I don't think I'll be buying this again.